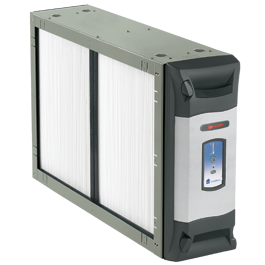 Electronic air filters and purifiers are great as they remove dust and other small particles along with other impurities from air such as bacteria, mold and more. These units work in conjuntion with you existing forced air heat and air conditioning systems to provide you with pure air and comfort all year round. There are many solutions that are tailored to each individual home so please call us with questions and a free estimate.